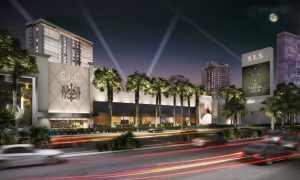 The owners of the Grand Sierra in Reno, Alex Meruelo and Meruelo Group, are buying the SLS Las Vegas formerly the Sahara with the transition expected to be completed in the third quarter of 2017. The SLS has three towers and features a 50,000-square-foot casino floor with 600 slot machines and 60 table games. Starwood Resorts Worldwide took over one of the towers, the Lux tower, and converted the building’s 289 rooms into the W Las Vegas. The newly branded tower had a soft opening in 2016 and is still hardly well known. It’s probable the SLS will be rebranded and two restaurants may be up for question too since Bazaar Meat and Cleo were both licensed from a former partner of the resort, SBE Entertainment. Renowned Chicago restaurant group Hogsalt is the latest to announce it will become part of the Park MGM culinary experience and open Bavette’s in October. The new Bavette’s eclectic menu will deliver decadently reimagined steakhouse fare with a dash of French flair. A curated cocktail and wine program will acknowledge the history of steakhouses and embrace Bavette’s 1920s speakeasy vibe. Glowing chandeliers and sultry jazz will transport guests into an intimate space that blends Gilded Age opulence with the wood and leather comforts of past chop houses. Westgate has opened its newest culinary experience, Bar Sake, tucked inside The Village on “restaurant row” and adjacent to Rikki Tiki Sushi, Silk Road Asian Bistro and Benihana. Bar Sake opens daily at 5 p.m. featuring a selection of high-end, signature sake cocktails and a robata-style food menu. This cooking technique originates from a centuries-old, country-style cooking by Northern Japanese fisherman around a communal hearth. Utilizing skewers, the food is slow-grilled over a high-heat, charcoal Robata grill. 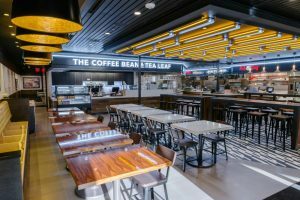 New on the Strip is Boulevard Food Court offering an easily accessible, value-priced, fast-casual dining destination for tourists walking by the 24-hour location on Las Vegas Boulevard across the street from Monte Carlo. The new culinary destination features eight specialized dining concepts including: the city’s second El Dorado Express; Coffee Bean & Tea Leaf; AAA Sandwich Co.; Cannonball Buffalo Wings & Fingers; Mighty Fries; CookieMUFU; Reb Dog; and Voodoo Pizza. From the food outlet names, you can pretty well figure out what they’re serving, each with a memorable twist. 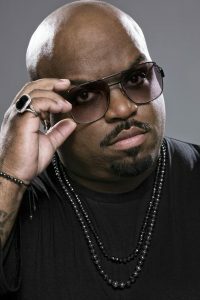 Five-time Grammy® Award winner CeeLo Green is returning to Las Vegas for a four-night engagement at Caesars Palace at Cleopatra’s Barge. The up close and personal 8 p.m. show backed by a two-piece band will take the audience on a journey through his two-decade plus career on July 21-22 and 28-29. General ticket prices begin at $119. The first gallery in the world to focus solely on food photography by a single artist just opened at the Forum Shops at Caesars Palace. 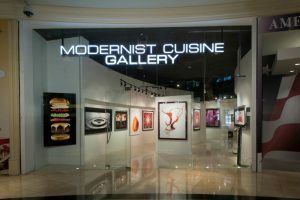 Modernist Cuisine Gallery showcases the groundbreaking works of photographer, chef, scientist and author Nathan Myrhvold and sells limited edition prints of food photography found in the books he’s authored starting with “Modernist Cuisine: The Art & Science” in 2011. Myrhvold retired from working with Bill Gates as Microsoft’s chief technology officer and now pursues his personal passions, which includes forging a new genre in food photography. He portrays food in fascinating unexpected ways and even builds robots to accomplish the tasks at hand. His works in the gallery capture imaginative images from one voluptuous tomato to an action shot with French fries being blasted by ketchup. His book coming out this fall is “Modernist Bread” so look for molecular images of the subject matter. A prime piece of property on the Strip, which was the former site of the New Frontier, is a 35-acre parcel located directly across from Wynn and Encore and just north of the Fashion Show mall, is up for sale again. There is approximately 1,300 feet of Strip frontage and it traded for $1.2 billion in 2007. CBRE Group, Inc. (NYSE:CBG), a Fortune 500 and S&P 500 company headquartered in Los Angeles, is handling the listing. 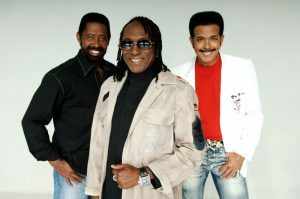 Motown supergroup The Commodores will bring their funk and soul hits to The Club at the Cannery on Saturday, June 10 at 8 p.m. The group’s lineup features original members William King and Walter “Clyde” Orange, as well as 1982 addition J.D. Nicholas. Tickets start at $29.95. The Commodores were formed in 1968 as a group of seven Tuskegee University students coming together to perform funk and soul music throughout Alabama. The famous Jackson 5 had them open for them before Motown gave them a record deal. They went on to have seven No. 1 hits, multiple top-10 singles and 50 albums. The inaugural three-day Mecum Las Vegas Motorcycle June Auction featuring hundreds of antique, vintage and collectible motorcycles on the auction block will take place June 1-3 indoors at South Point. Three fabulous collections will be the highlight along with consignments expected from across the country. In addition, the first-ever “Legends of Racing” Preview Party will be held Thursday, June 1 from 5 to 7 p.m. with Q&A sessions with three legendary racers Don Castro, Gene Romero and Jay Springsteen. Advance general admission tickets online are $20 per day, and $30 at the door and online once the auction begins. Doors will open daily at 8 a.m., with a preview from 9 a.m. to 7 p.m. on Thursday, June 1. The auction will begin at 9 a.m. on Friday and Saturday, June 2-3. Portions of the event will be broadcast on NBC Sports Network, and a live stream of the entire auction will be presented at Mecum.com. Las Vegan Josh Keating, who sings pop, oldies and opera, will perform at the Suncoast Showroom on Saturday, June 24 at 8:30 p.m. Tickets start at $15. Keating began performing in Las Vegas when he was 14 and sharing the stage with his father Ken in their group, The Keatings: A Father and Son. 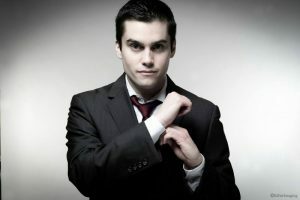 At age 24, Keating began his solo career and his versatile talent has given him opportunities to perform with musical legends like Tony Bennett, David Foster and Michael Bublé. In the show, Keating will be accompanied by an eight-piece live band and will share the stage with his father and brother Alex. 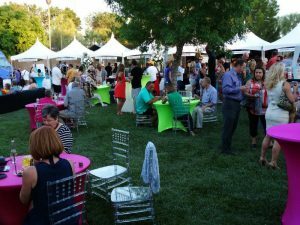 The Las Vegas Natural History Museum’s annual summer soiree, Sundown in Downtown: Bones and Booze, returns on Friday, June 2 from 6 to 10 p.m. The public outdoor celebration is held at Heritage Park next to the museum featuring bold rhythms, cold drinks and small bites from local businesses throughout the valley. Proceeds benefit the museum’s mission to inspire individuals through educational exhibits and programs to gain a better understanding and appreciation of the natural world. Tickets start at $35, which includes all you can eat via food vendors and two drink tickets, and VIP is $55. Guests must be 21 years of age. Hooters’ newly-renovated Porch n’ Backyard pool and bar kicked off the summer season with its celebrity-hosted Summer Camp weekend series pool parties. Actor Jonathan Bennett of “Mean Girls” fame appeared for the first event last Friday from 1 to 6 p.m. and the adult playground weekly parties will continue through the summer with live DJs, fully-stocked bar, contests, and games, etc. 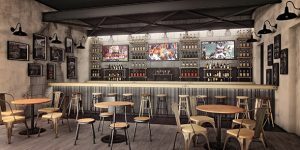 Hooters has undergone a more than $20 million, property-wide renovation, which included completely refashioned hotel rooms and suites, a redesigned casino floor and front desk, expanded William Hill Sports Book and additional dining and retail offerings. The Porch n’ Backyard pool, bar and adult playground opens to the public daily at 10 a.m. The 17th Annual Firefighter Bachelor Auction, hosted by the Firefighters of Southern Nevada Burn Foundation, will be held Friday, June 9 from 7– 11 p.m. at The Foundry at SLS, with a special opening performance by the male revue troupe, Aussie Heat. Firefighter bachelors will be paired with prize packages and auctioned off. Proceeds will benefit The Burn Survivor Initiative, a program providing medical and emotional assistance to local burn survivors. Tickets start at $40 for females, $80 for men and $80 for couples. 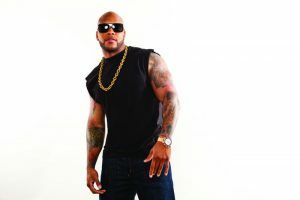 Platinum-selling recording artist, Florida-born rapper Flo Rida will perform at the Flamingo GO Pool on Saturday, June 10. His latest single is “Cake.” Tickets are $10 for Flamingo hotel guests and $20 for non-hotel guests. Country artist Randy Houser with special guest Parmalee will appear in concert at the Mandalay Bay outdoor beach on Friday, May 2. Country superstar Josh Turner will headline in the Tropicana Theater on Friday, June 2 at 8 p.m. The double-platinum-selling artist just released his fifth record, “Punching Bag.” Tickets are priced from $49.95 to $89.95. Gretchen Wilson will be appearing at Stoney’s Rockin’ Country on Thursday, June15 at 7 p.m. Reality TV star Chase Chrisley will celebrate his 21st birthday with a rooftop bash at Chateau Nightclub & Rooftop at Paris on Friday, June 2. “Chrisley Knows Best” is currently in its fifth season on the USA Network, and follows the glamorous lives of entrepreneur and millionaire, Todd Chrisley, and his family. Party admission is $30. The Kingston Trio will bring their blend of pop and American folk music to the South Point Showroom June 2-4. Tickets start at $25. At The Mob Museum, there will be a documentary screening of “The Misunderstood Legend of the Las Vegas Moulin Rouge,” on Saturday, June 3 at 1 p.m. The film discusses the history of Las Vegas’ first racially integrated hotel and casino. Now Happy Half Hour aboard the High Roller, which includes a 30-minute ride, is being offered daily from noon to 1:30 a.m. with an open bar and private bartender. The Golden Tiki in Chinatown added to its Cabinet of Curiosities with its sixth celebrity Vinnie Paul’s shrunken head. Managing Partner Branden Powers and The Baron of the Universe, former “America’s Got Talent” contestant, presented the honor to the former Pantera member and co-founder and current member of supergroup Hellyeah. Park on Fremont is now serving breakfast Monday-Friday from 7 to 11 a.m. featuring egg sandwiches and toast creations. There is free WiFi. In Boulder City, the folks who own The Dillinger and Forge Social House now have another spot called The Tap in the space that was formerly The Inner Circle inside the Boulder Inn & Suites. The new bar-restaurant space has been revamped with inside and outdoor seating and a selection of craft beers. The owners of the Cooking Experience at 9500 S. Eastern Ave.-Suite 170 closed the school and in its place have a new concept Boteco, which historically is a local no-frills meeting place with food, drink and conversation. Boteco favors sharable bits. Hours are Wednesday-Friday 4-10 p.m. and Saturday and Sunday 8 a.m.-3 p.m. On Friday, June 23 and the last Friday of every month thereafter, Boteco will offer a custom-made Tasting Menu paired with great wines for $65. The second Cousins Maine Lobster food truck is new on the corner of Fremont and Las Vegas Boulevard. An appearance on ABC’s entrepreneur competition TV show, “Shark Tank” launched cousins Jim Tselikis and Sabin Lomac into the Cousins Maine Lobster food truck business. The multi-million dollar venture now has trucks in Houston, Los Angeles, Phoenix, and Las Vegas with seven future expansion cities planned. There will be a number of “first time happenings” at the sixth annual Health, Healing & Happiness conference June 9-11 at Tuscany. For the first time, there will be a Gala Dinner with the Stars with keynote conference speakers attending on Friday, June 9 from 7-9 p.m. with local vegan celebrity Chef Mayra creating a four-course gourmet dinner experience. Tickets are $75. In honor of Alzheimer’s & Brain Awareness Month in June, Silver Sevens Hotel & Casino has planned a month of purple promotions to support the ongoing fight for a cure. The Sterling Spoon Cafe will offer “Food For Thought” purple-themed dishes with $1 of each item benefitting the Alzheimer’s Association. The Spas at Green Valley Ranch Resort and Red Rock Resort are introducing an all-new spa and fitness monthly membership program, which is also available for local residents. Membership is $200 a month and exclusive to the location purchased and available for purchase month-to-month. This exclusive monthly membership has many features such as: preferred pricing on signature massage and facial services; unlimited group fitness exercise classes; unlimited access to the spa pool, spa locker areas, fitness center; use of jacuzzi, steam and sauna; spa products discount; two complimentary day passes for member’s guests, each month; etc. The 16th annual Reggae in the Desert is Las Vegas’ largest Reggae festival showcasing the distinct music and Caribbean lifestyle. The all-ages festival will be held Saturday, June 10 at the Clark County Amphitheatre and feature Common Kings, Alborosie, Tanya Stephens, Passafire, Eljai, Inna Vision and more. Event is noon to 10 p.m. and there will be a Caribbean Islands Vendor Village with food. General admission tickets are $35, and VIP $80. This is a rain or shine event and only cash is accepted at the door on show day. On Thursday, June 1, Cirque du Soleil will unveil its 12th annual art exhibition, The Collective, which is an extraordinary collection of artworks created by the company’s performers, technicians and staff in Las Vegas. Serving as a creative outlet for employees, the exhibit will be on display June 1–30 at The Metropolitan Gallery of Las Vegas Art Museum, Wednesdays through Saturdays from noon–5 p.m. To access The Collective, guests will need to pay a $5 entrance fee. For the first time in the program’s 12-year history, each employee was able to submit up to three works of art instead of one. All formats of artwork will be featured throughout the month. A special reception for the Las Vegas community will happen on June 1 from 6–8 p.m. 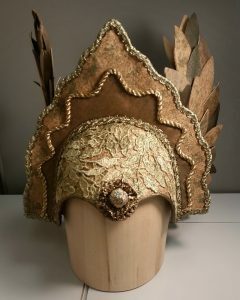 In addition to the original works created this year, The Collective will also display Cirque du Soleil-owned art pieces, props and costumes from various productions along the Strip. The Lake Las Vegas Art Galleries will unveil its 2017 summer juried art show, Casting Shadows, on Friday, June 9 from 7-9 p.m. Original work by Nevada artists will be featured in its North Gallery. The free opening night reception will feature live music and hors d’oeuvres from a celebrity chef. This hands-on interactive Zoom into Nano is happening at the Discovery Children’s Museum through Sept. 4. The exhibit, designed for ages 8-13, focuses on how engineers and scientists create new materials and technologies using things on the nanoscale too small to see like atoms.